If you have dietary questions you can stop and talk with cast members about food allergies such as gluten or wheat, lactose or dairy, peanuts, tree nuts, shellfish, soy, fish, eggs, and corn. Cast members will be able to guide guests to the best restaurants that will be able to accommodate their needs. 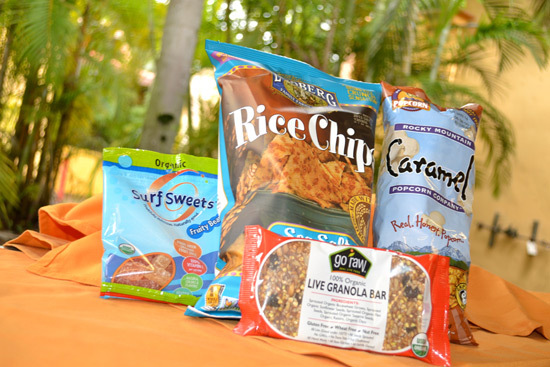 There are also "safe" snacks to purchase at the Gardens including popcorn, desserts, hummus with vegetables, chips, granola bars, and gluten-free beer. BabyCakes NYC will also have a selection of vegan treats that are wheat and gluten-free and contain no dairy, casein, or eggs. As always, park guests with food allergies or intolerances are encouraged to speak with a manager or chef at the restaurant of their choice, and the chef will do their best to accommodate the dietary needs. Guests can send special dietary requests 14 days prior to their visit to special.diets@disneyworld.com. And make sure to check out the Disney Food Blog's Special Diets Resource page. The Gardens kiosk is the only stand of its kind at the Walt Disney World Resort. This is kinda cool, I like that they're doing it and I really hope that it helps people.